Salt supplies minerals which are required by our body. The body requires salt for its proper functioning. Salt enhances water absorption, maintains PH and helps in movement of nutrients between tissue fluid and cells. A balanced use is recommended, no more than you would regular salt. Black Salt: helps balance Vata dosha, and increases Pitta and Kapha. 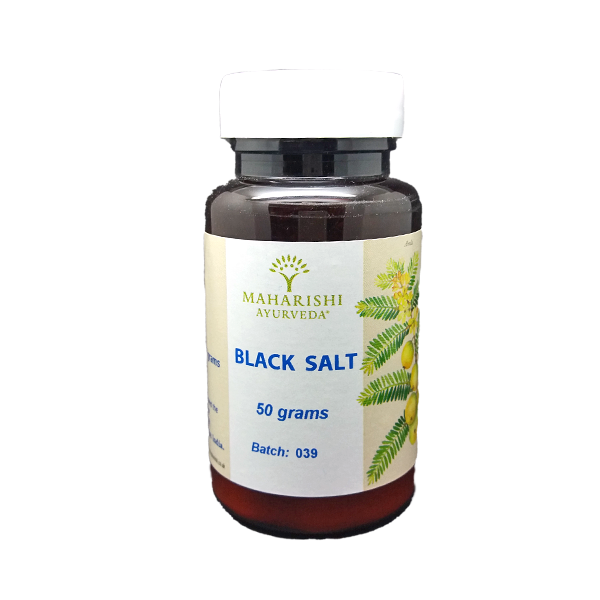 Black Salt is traditionally considered the healthiest form of salt in ayurveda. 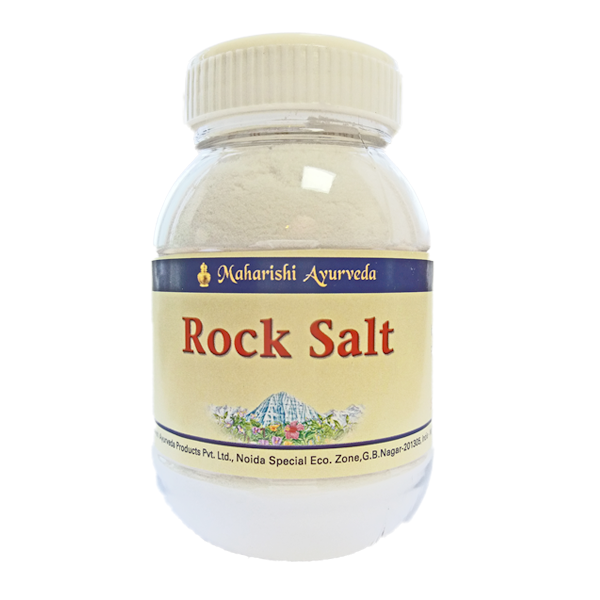 Rock Salt: Unlike normal salt rock salt does not increase Pitta dosha. It is said to pacify all three doshas when used in appropriate quantities.